Current efforts to solve wicked problems with a quick dusting of data are unlikely to result in socially useful answers. Luckily, there are innovative people and initiatives using a variety of methods to home in on real solutions. Ziyad Marar, the global publishing director for Social Science Space’s parent, SAGE Publishing, discusses the bright-ish future of interdisciplinary social research as his contribution to the annual questioned posed by the Edge.org website. The furious controversies of last year following the announcement of the new Research Councils UK policies on open access may have quietened down, but there remain many practical problems. Studying ourselves is something the British do exceptionally well: specialists flock here from all over the world seeking answers to fundamental questions from our unique series of cohort birth studies, and no one else has anything quite like them. 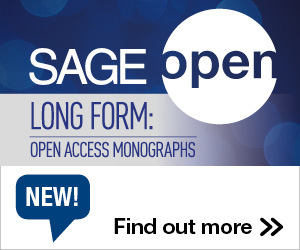 SAGE’s Global Publishing Director, Ziyad Marar talks with Nigel Warburton and David Edmonds about the one year anniversary of Social Science Bites. Last week we heard the sad news that Professor Elinor Ostrom has died. Her profound contributions to scholarship have been told often since she became the first woman and the first political scientist ever to receive the Nobel Prize for Economics. Across the world in the media, in policy, government discussions, and in our daily lives, there is evidence of social science at work. Whether it’s analysis of a cultural phenomenon like crime, or a major international concern such how climate change leads to changing lifestyles or inequality, social scientists help us understand cultures and behaviours.